I had a new stereo fitted to Walter this morning and used the opportunity to walk into the centre of town to visit the Natural History Museum in our City Hall. My Mom used to bring me here when I was a little boy and it hasn't changed much at all. 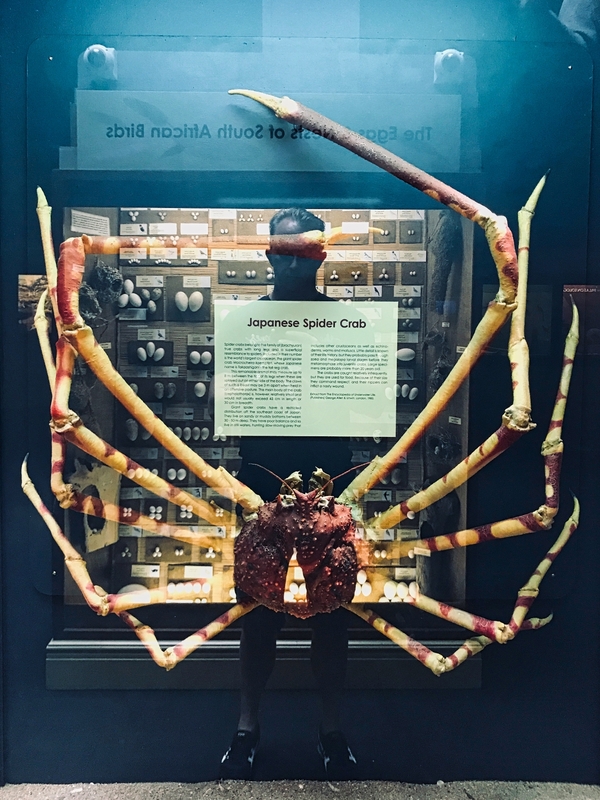 In fact, this exhibit of the Japanese Spider Crab is probably older than I am, which is saying quite a bit! Unfortunately the mammal section of the museum was closed for renovations so only got to see the birds and reptiles section. Interesting angle there Yes, believe I have seen these beasts in aquariums. The Alaskan King Crab's right up there with them in shock value, just bigger than you'd expect them to be.